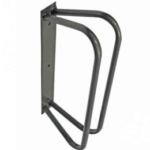 Upright wall mounteable cycle storage ideal for securing bicycles by the front or rear wheel. Buy more than 12 to recieve 7% off. 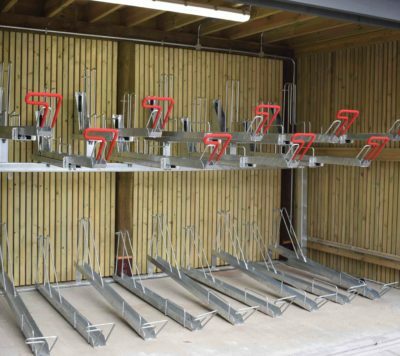 It’s a flexible bike storage solution – whether you want one for your garage or 20 for an office space, it’s an easy way to secure bikes conveniently. 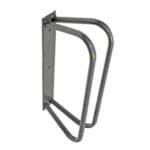 This cycle rack is also a great choice when space is limited. As it’s wall-mounted, you don’t lose much floor space. But not only is it space-efficient, it’s cost-effective too. With limited spend, you can provide suitable places for people to secure their bikes. Buy in multiples of four and you’ll save even more. 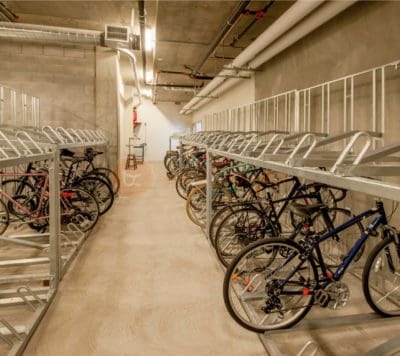 Without bike storage, bikes are at risk of theft or damage. 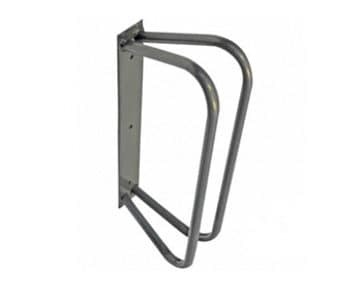 Whether that’s not having the right secure fixtures or leaning numerous cycles against each other, such inconveniences are easily avoided with our fixed wall-mounted cycle racks. It’s easy to install too, with three evenly-spaced fixing holes to secure yourself. 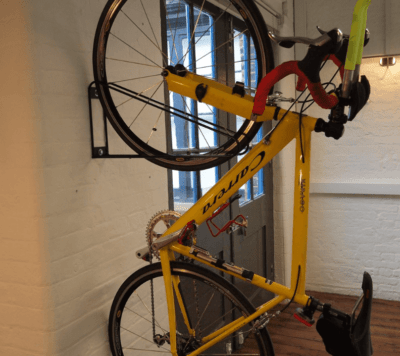 Once secure to the wall, you move the bike into position, where it will hold itself as you use a chain lock, ideally through the frame and wheels, to maximise security. 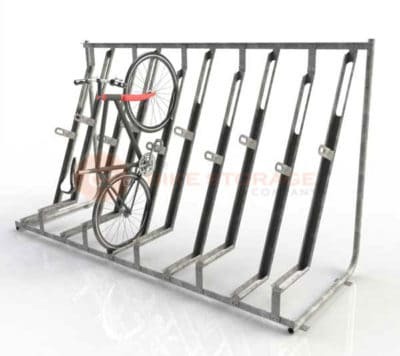 Ideal for road and hybrid bikes, our fixed wall-mounted cycle rack is the ideal companion for any cyclist looking to store their bike – be it at home, at work or any other destination.